They say that “necessity is the mother of invention.” And while I would never say that I invented Pizza, such an adage applies here. Sometime in the summer of 2012, it was lunch time and I totally didn’t know what to make for my family. I had some ingredients in the fridge but can’t seem to imagine how to incorporate them all in one dish. We had a visitor too that day which really upped the pressure for me to produce something good — quick! I have already decided to make some Pizza Calabaza for us but after I have assembled it, I knew it won’t be enough for all of us so I had to add another dish to our menu. I always buy a double batch of pizza dough so I knew I still had one left to use. But what could I use for my pizza? My eye suddenly caught the Spanish Chorizo sitting on a small plate in the fridge. I have used some of it for the Paella I made the other day but I still had enough to use up for another dish. I thought Chorizo Pizza would be great…but what else….and then…as if magically, my brain pointed me to the can of Olives I had on my lazy Susan shelf. I needed one more ingredient that would contrast with the Olives and Chorizo – after all they are both salty and savory. I don’t know if it was me or my husband who thought of using Corn — whoever that may be – it was a wonderful and very wise choice! The corn added sweetness and truly complemented the olives and chorizo. He said that I should make this again and often…so glad that in the end everything worked out well. I don’t remember ever measuring the exact amount of the ingredients here except for the shredded cheese – so feel free to tweak the amount to your taste preference. You may add more or less depending on your fancy. Let this serve as a basic guide. Enjoy your Spanish inspired Chorizo and Corn Pizza! 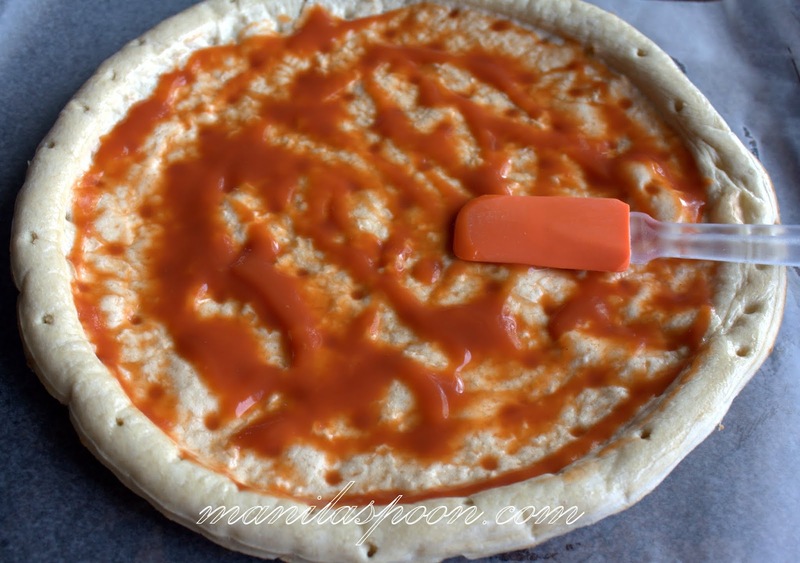 *If you are using plain tomato sauce you may wish to add a little sugar and perhaps some Italian herb seasoning just to give it a little flavor or you can also use it plain. leaving about an inch from the edge. 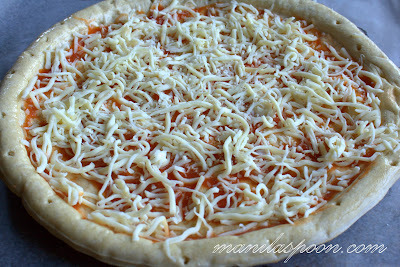 Sprinkle the Mozarella or Manchego cheese on top. Bake in the preheated oven for about 10-15 minutes (length of time depends on the oven temp so eyeball it) or until the crust is golden brown and crisp and cheese has melted. Enjoy!!! Love the combo. Pizza looks colorful and yum! Chorizo and manchego pairs so beautifully together. I know I'll love this pizza. Lovely post. 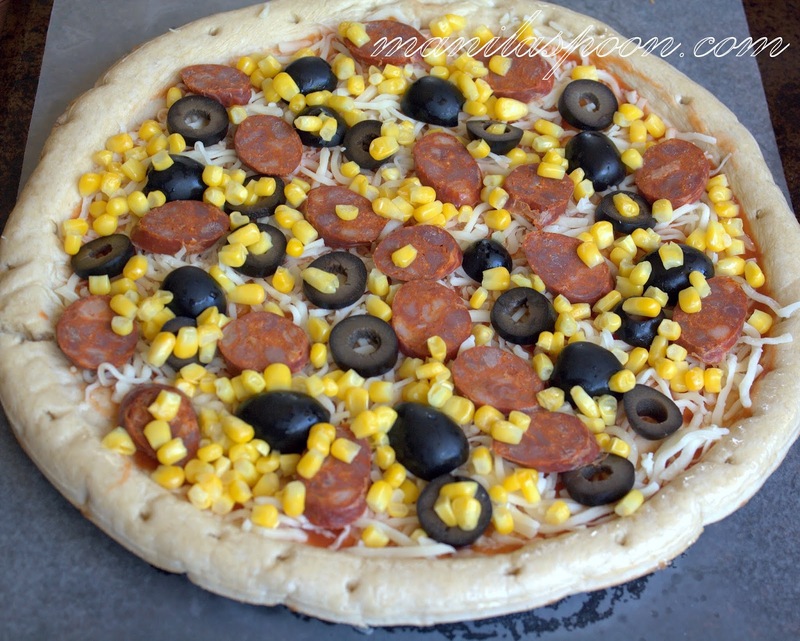 This delish Spanish chorizo and corn pizza is perfect for our family meals! Thanks for sharing this recipe idea! The corn idea is splendid! I think it evens out the kind of robust flavor of the chorizo! 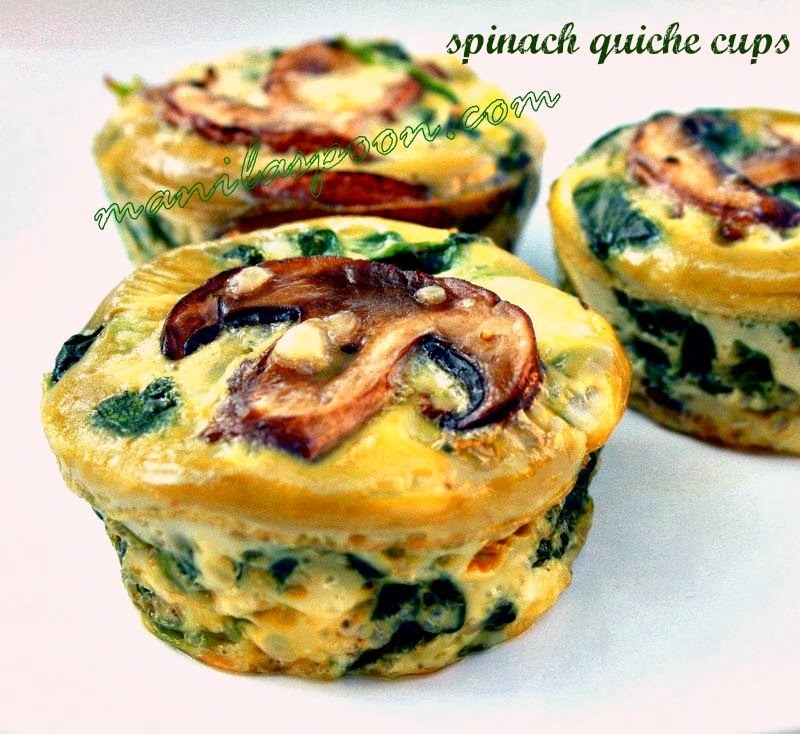 This is great for picnics or as something savory for dinner maybe. Love the idea! love it. but can i ask where did you buy the spanish chorizo? At the World Market. I am in the US though. I impressed by the quality of information on this amazing site. There are a whole lot of good resources here. I am sure my spouse and i will visit this place again soon.